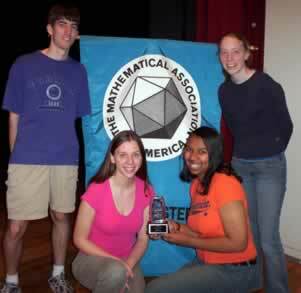 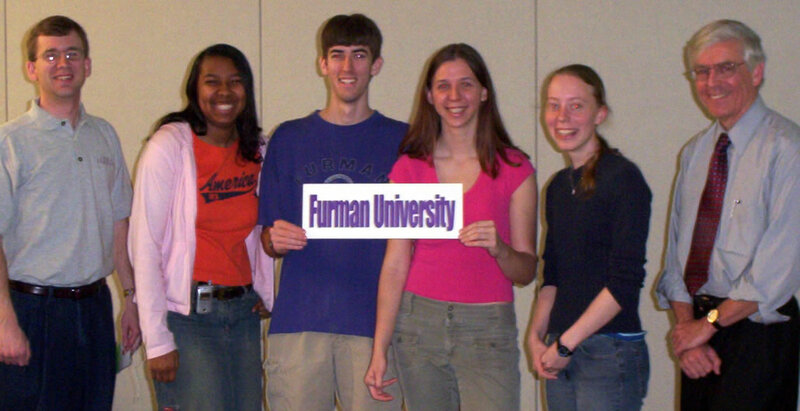 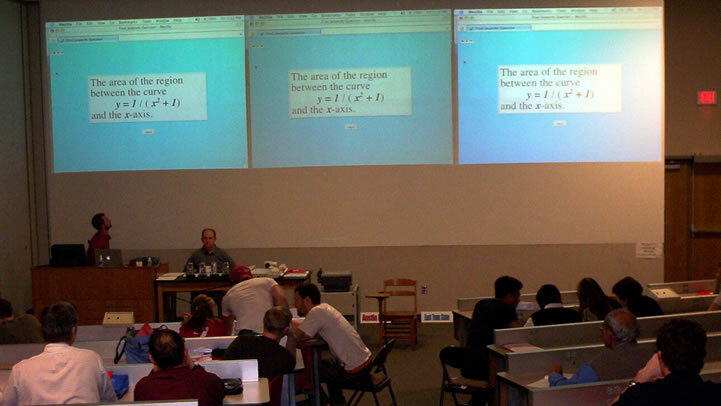 On March 26-27, 2004, four of our students attended a sectional meeting of the Mathematical Association of America and participated in the Math Jeopardy Contest. 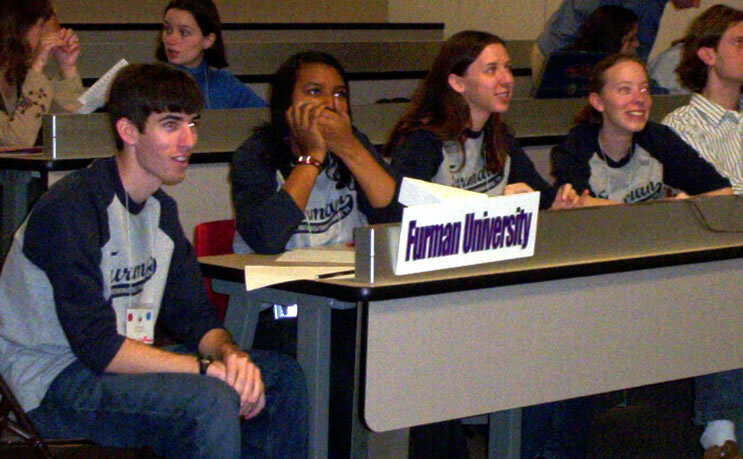 Furman's team competed against eleven other schools and finished in FIRST place! 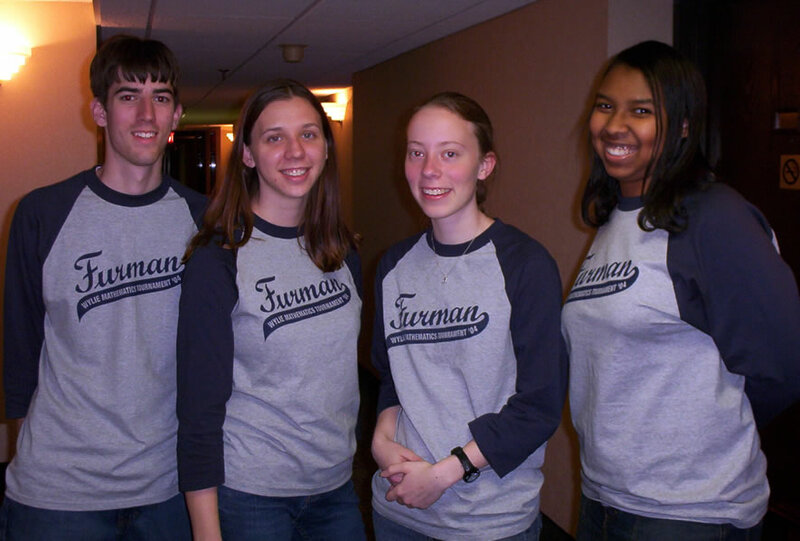 Our students were freshmen Angela Hicks and Charity Watson and juniors Mary Hedges and Kevin Wellbaum. 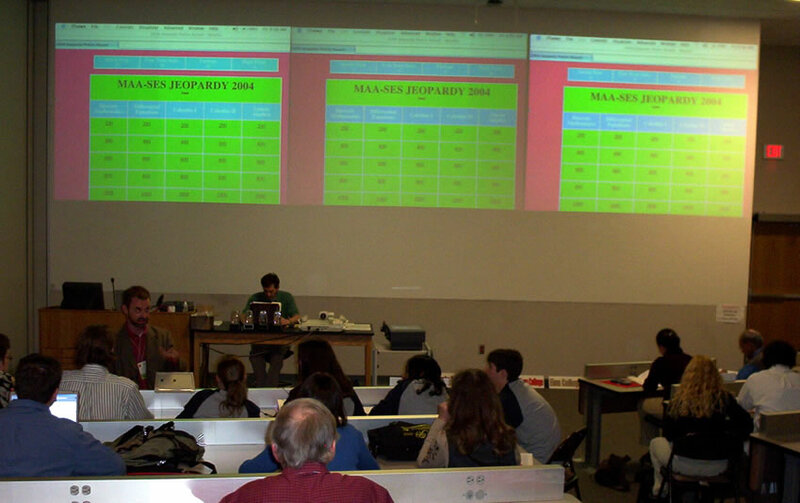 Click on the thumbnails below to see larger versions of these pictures.